Phenomenology was one of those modernist disciplines conceived in the manner described in Chap. 3. 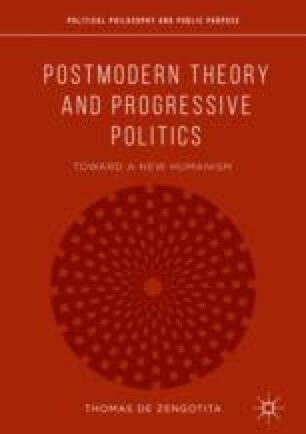 But it was an especially important influence on the rise of the so-called French theory (the principal source of postmodern theory in general) and so it gets its own chapter. All the creators of “theory” in France (the term was coined by Anglophone adopters) were steeped in phenomenology from their high school days. They conceived of their movement as an overcoming of the situation of the modern subject, now understood in terms supplied by the “3Hs”—Hegel, Husserl, and Heidegger—and, of course, by their very own, soon to be deposed, father figure, Jean-Paul Sartre. This chapter introduces the essentials of phenomenology, just enough to allow the reader with little or no experience of that style of philosophy, to follow the creators of French theory as they sought to dismantle this latest manifestation of modern subjectivity and the “humanism” to which it subscribed.